A SpaceX Falcon 9 rocket lifted off from Florida on Monday, sending the US space firm’s last new first-generation Dragon cargo ship to the International Space Station. 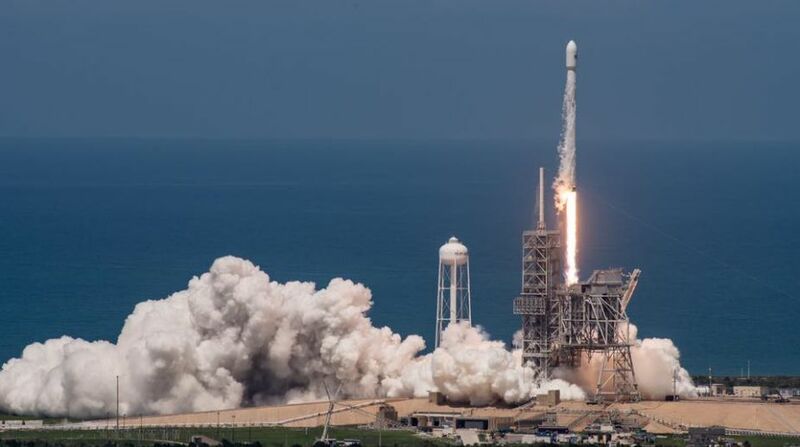 The Falcon 9 rocket, with the Dragon spacecraft sitting on the top, blasted off from a launch pad at NASA’s Kennedy Space Center, Xinhua reported. About eight minutes later, SpaceX successfully landed the rocket’s first stage at the company’s Landing Zone 1, just south of the launch site at Cape Canaveral Air Force Station, as part of its effort to develop fully reusable rockets. Monday’s flight was the 12th of up to 20 missions to the space station that SpaceX will fly for NASA under a multi-year commercial re-supply services (CRS) contract. It also marked the last time SpaceX launches a brand-new Dragon 1 vehicle and the remaining CRS missions will fly only reused ones, an official from SpaceX said. A variant of the Dragon spacecraft, called Dragon 2, is currently being developed for the US-based crew transport to and from the space station, the company said. For this mission, Dragon was filled with over 2,900 kilograms of supplies and payloads, including critical materials to directly support dozens of the more than 250 science and research investigations that will occur during the next six months. “I’m happy to say 75 per cent of that total mass is headed toward our research community,” Dan Hartman, deputy manager of NASA’s space station programme, said. If everything goes well, the Dragon spacecraft will arrive at the space station on Wednesday, where it is expected to stay for about one month.